This Ashtray was designed in 1967 and is part of the Cylinda Line. 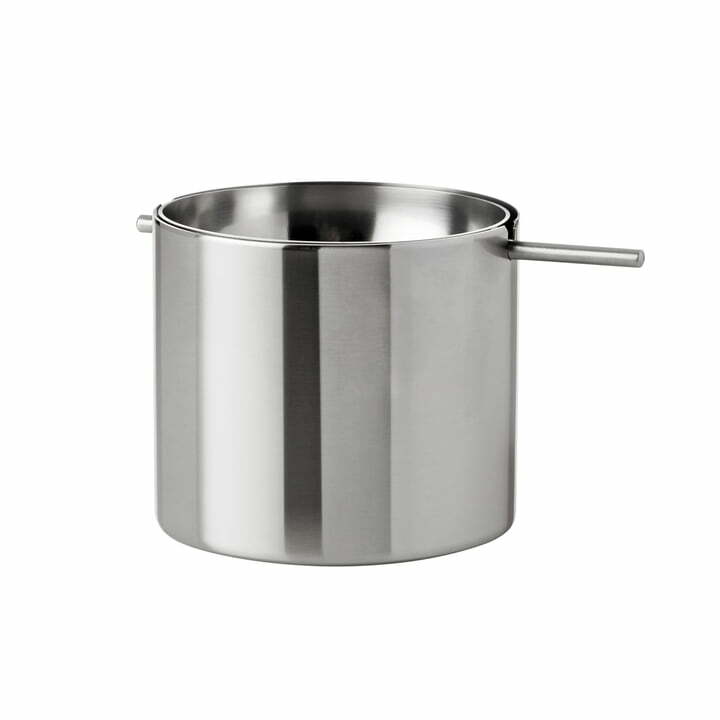 Its cylindric form of high-tensile steel is timeless and elegant and fits any occasion. By tilting the dish cigarette stubbs and ash fall into the cylinder. Unpleasant smells are hidden away. 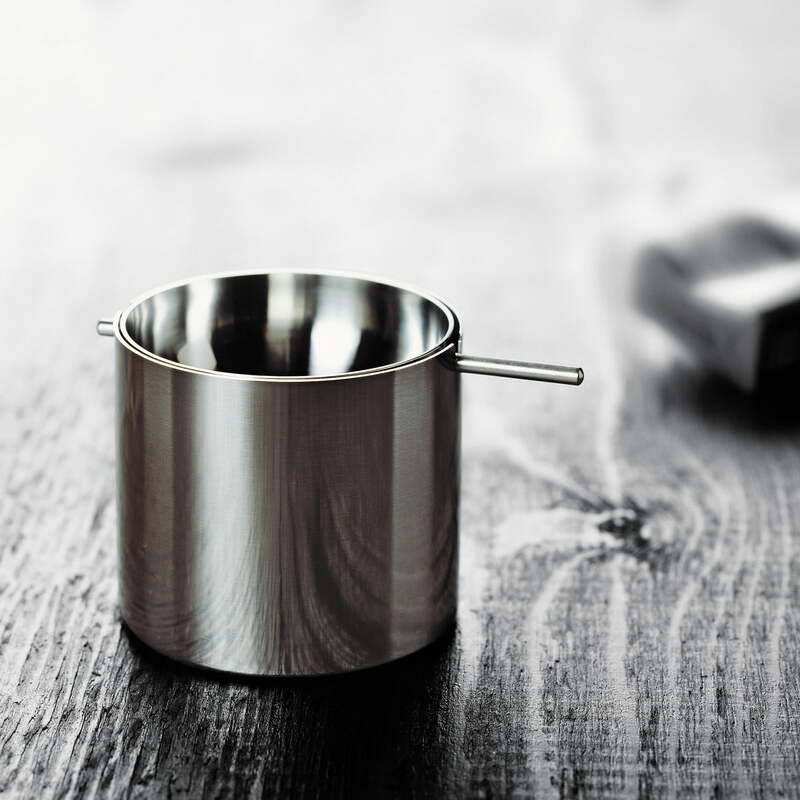 Since 1960 Stelton has been known to produce high-quality tableware and accessories of steel. They have been awarded the Industry Prize of the Danish Society of Industrial Design several times. 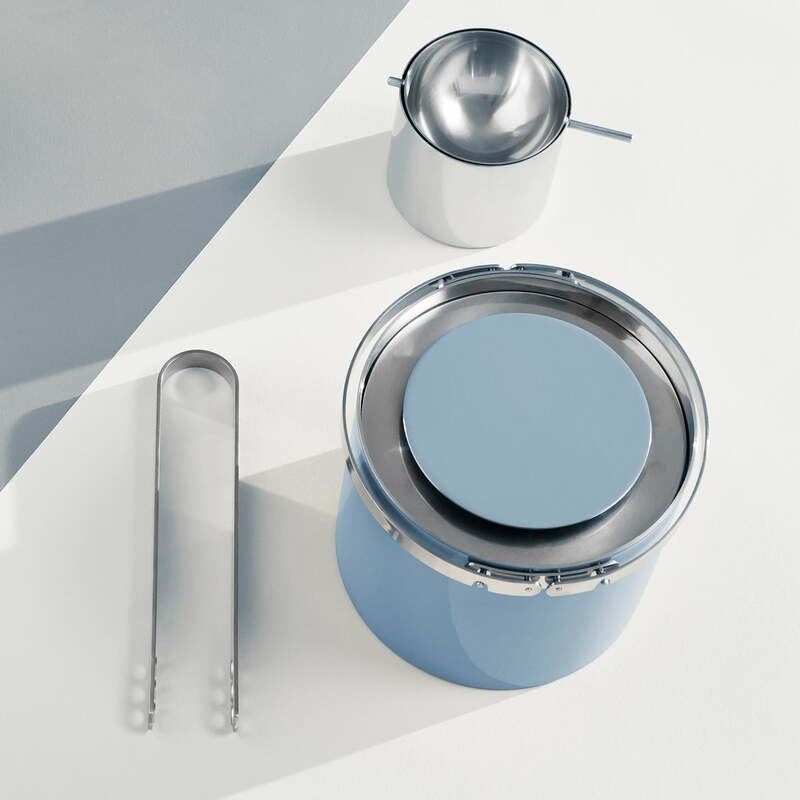 Stelton products can be found in museums all over the world as in the Museum of Modern Art in New York, the British Museum in London, and the Museum for Applied Arts in Munich. 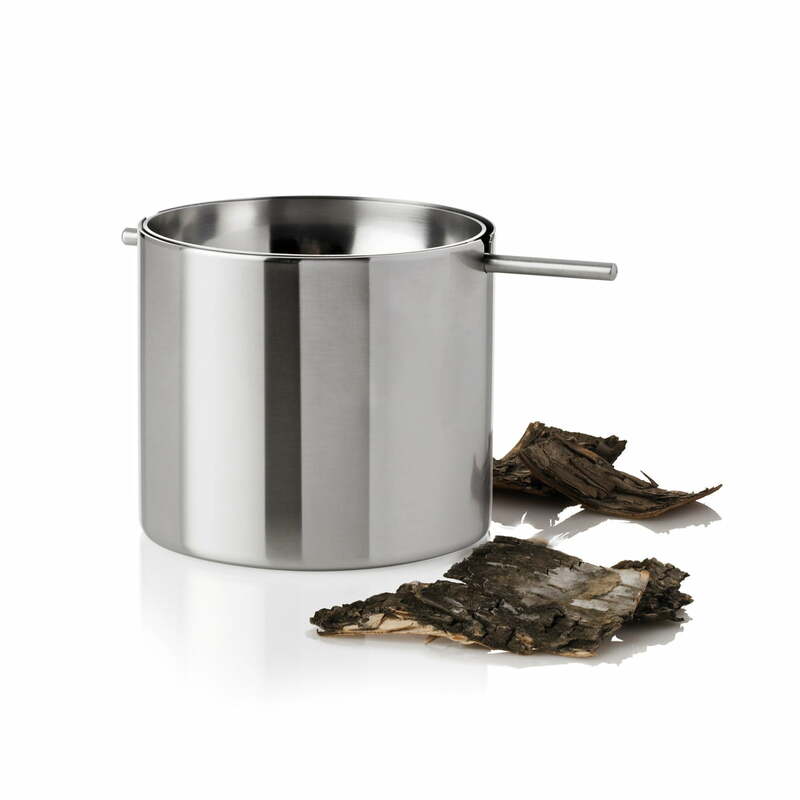 This ashtray is made of languid polished high-tensile steel. The tilting-dish makes it unmistakably. Outstanding crafting and best materials ensure this product a very long life.